Blue is clearly the dominant colour with this deck. 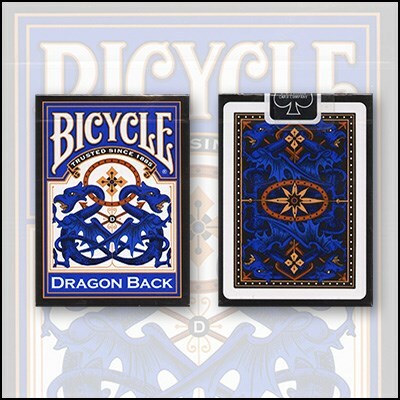 The courts are quite standard like most Bicycle decks, but instead of red we get a fresh and vibrant blue colour throughout the deck, both on the backs, as well as for the hearts/diamonds. It looks a little "cheaper" than the Red and Gold decks, but still a lovely and attractive deck that is fun to use, with good handling from Bicycle.